Make room for more baby boomers in the workplace. From 1989 to 2012, the percent of people over age 65 in the workforce jumped from a little under 12% to 18.5%, setting a trend that’s set to continue. Between 2010 and 2020, the number of workers age 65 to 74 is expected to grow at a faster pace than any other demographic. As Wealth Managers we focus on investors’ retirement goals and the ability to meet those goals. 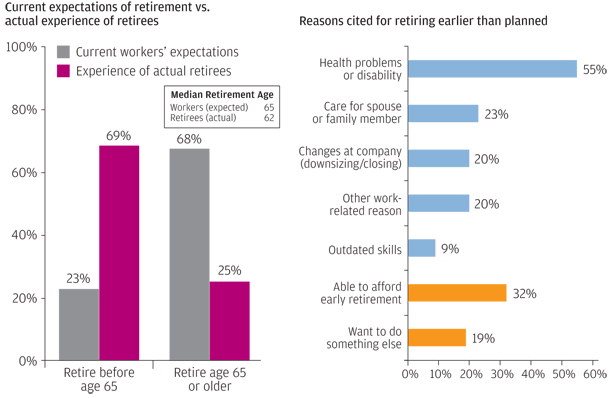 Would your retirement goals be compromised if you weren’t able to work past a certain age? Is there a backup plan?